The project, funded through the Department of Water Resources, Prop 84, addresses both critical low summer base flows in the Navarro River and water shortages in the watershed. MCRCD will work with the USDA Natural Resources Conservation Service (NRCS), The Nature Conservancy (TNC), and farmers to implement water conservation measures, water storage and water-use efficiency on orchards and small farms in the watershed. 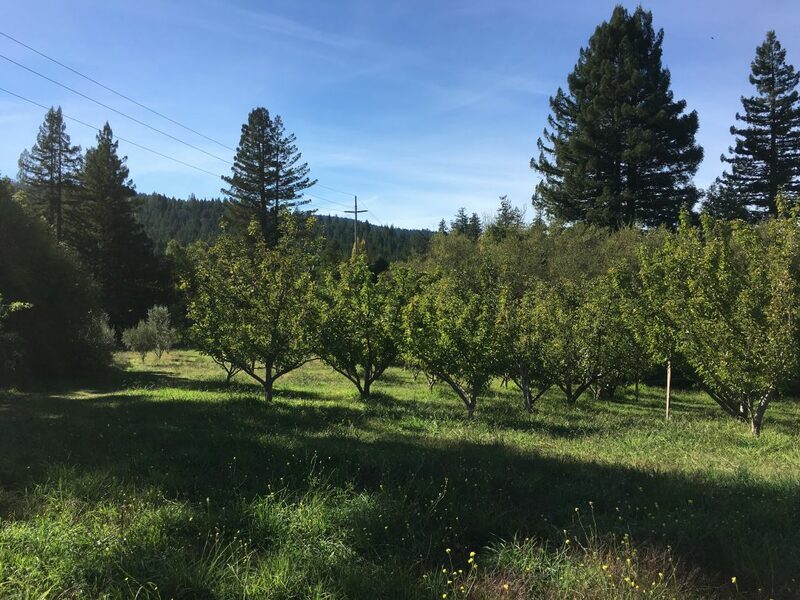 Projects include installing a 40,000 gallon rainwater storage tank, upgrading a failing/faulty irrigation system, retrofitting sprinkler heads on 13 acres of organic apple orchard, and retrofitting an irrigation system on a 60 acre commercial apple orchard to a more efficient under-tree micro-sprayer system. The project will save 31.1 acre-feet of water annually. A series of workshops and tours will highlight water conservation best management practices, and new techniques and technologies for demonstrating measurable water savings to agricultural producers and landowners in the Navarro River watershed.